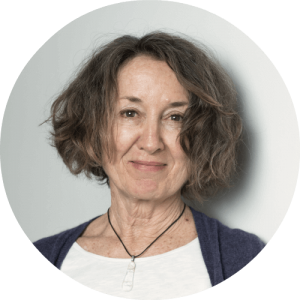 Liz has a private counselling/psychotherapy practice based in Auckland, New Zealand (Aotearoa) and has a particular interest assisting people with body symptoms, anxiety, grief, relationship difficulties, work challenges and stressful life transitions. In the past she also worked for Lifeline, helping people suffering from intense distress and suicidality. Liz discovered Process Work through her own struggle with a chronic debilitating illness. In trying to make sense and meaning of this experience, she gradually transformed her life to the point where she no longer has any of her previous symptoms and is living in a completely different way. Over a period of six years she gradually changed every aspect of her life, sometimes painfully, sometimes with great joy. It has given her a unique perspective on the issues involved in deep life change, what Process Work calls Life Myth work. She is now interested in supporting others with their challenges. In the midst of despair, I was introduced to a Process Work therapist who suggested that there may be something ‘right’ about my symptom, not something wrong with me; that my symptom may well hold meaning for my life and not only be a cause of great suffering…that there can be important information in our symptoms which needs to come to our attention and find expression and that the symptom could contain the seeds of its own solution. Prior to working as a psychotherapist, Liz worked in environmental conservation as a researcher for the New Zealand Government. The close relationship she developed with the land has remained a vital part of her life. As part of this, she discovered an affinity with local Maori in the areas she was working and went on to study Maori language (Te Reo Maori). Also, in a previous life, Liz played keyboards and sang in a rock band in a small rural community. Liz raised her children on a rural lifestyle block, whilst growing olives and running a small herd of cattle and she remains deeply involved in her relationships with her partner, adult children, and wider family. All of her life experiences and relationships inform her work with clients. In her spare time, she continues to enjoy dancing, singing, music, yoga and reading. She and her partner have a small piece of land on the Kaipara harbour where they grow olives and other trees.